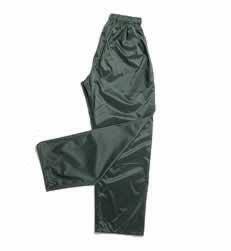 Heavy duty PU coated polyester waterproof overtrousers with elasticated waistband. 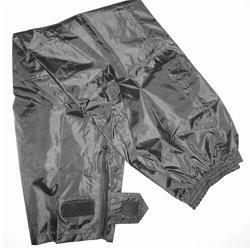 Heavy duty PU coated Polyester lightweight material; Easily folded for storage; Zipped lower leg for easy access; Velcro ankle straps; Elasticated waistband; Taped, stitched and welded seams. The price displayed does not include postage & packaging & VAT.